There are several reasons why I recommend the second edition of this excellent text, which has now been revised, enlarged and co-authored. It is not a run-of-the-mill textbook. It is refreshing and readable. It is downloadable for free. It is authoritative and well referenced but written in an accessible way that makes you want to turn the pages like a novel. The book is based on the combined experience of ophthalmologists who appreciate what it is like to be at the receiving end of a laser or needle and the importance of being a good doctor as well as ophthalmologist. 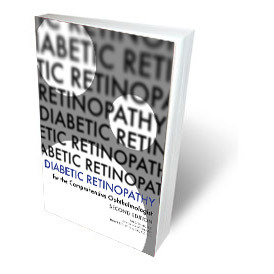 There are far too few people and resources to manage the vast numbers of patients with diabetes and retinopathy. Those that are in the field will do well to read this book and become more competent and informed to carry out their task, but enjoy the learning too.